Norwich Dragons Ladies 2’s traveled across the city to Taverham knowing it would be a well fought game. Unfortunately due to various injuries and illnesses the 2’s were still missing several of their usual squad. However this gave the 2’s the chance to welcome Livvy Ripman into the squad for her 2nd team debut and also see the welcome return of Jess Bennett and Sophie Mullan. Dragons started really strongly with the midfield of Sophie Mullan, Jess Bennett, Kiera Goymour and Gail Thomas working well together and winning the battle in the middle of the pitch. They moved the ball around quickly making it difficult for City and had several great runs up the middle of the pitch into the oppositions D.
City however started to work their way into the game and put pressure on the Dragons defence. Captain Karen O’Neill-Simpson in CD was again flanked either side by teenagers Ismay Whitaker and Carmel Windsor Waite. Both girls continue to improve every week, playing with great composure even when under pressure. As a unit the defence worked well together dealing with most of City’s attacks calmly. However unfortunately a quickly taken free hit caught them out and keeper Luisa Valentini couldn’t get a foot to it and Dragons went a goal down. Shortly after this and just before half time City made it 2-0 by converting a short corner. The call at half time was to play with more belief and this is exactly what Dragons set out to do. From the whistle Dragons piled the pressure on and earned several short corners. One of these saw a great bit of play between Gail Thomas and Jess Bennett before Gail Thomas calmly slotted the ball in the goal to make it 2-1. As the clock ran down Dragons never gave up and continued to press but the game ended 3-1 to City. A well fought close game where the main difference was that City took their chances and unfortunately Dragons didn’t. However as always there were lots of positives and it was great to see the Dragons battling to the end and playing some great Hockey. POM went to Karen O’Neill-Simpson. Thanks to the supporters who braved the cold and to Hannah and Mike Hardy who helped on the sidelines. 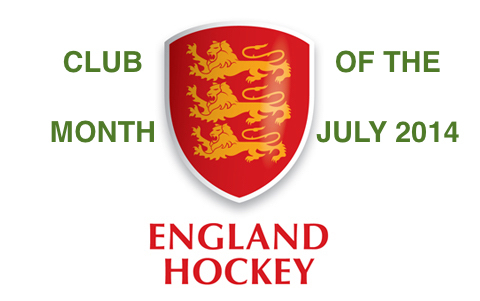 This week saw Norwich Dragons 3’s host Norwich City 3’s at the Den, which promised to be a close encounter if the previous match was to go by. The game started with both teams creating opportunities, however it was City who capitalised on the early chances and scored both the first and second goals from open play for a 2 – 0 lead. Dragons also took another blow as they were down to 11 players following an injury to Ally Windsor Waite half way through the first half. However, Dragons showed great team spirit and determination and Debs Smith converted their first short corner to bring the score back to 1 – 2 at half time. The defence of Kat Speirs, Sophie Barrow, Kath Mares and Angela Murgatroyd combined well to stop further attacking opportunities and short corners from the young and skilful City attack. The midfield of Catherine Matthews, Debs Smith, Hannah Ellis and Katie Hale worked tirelessly to support the defence and forward combination of Lucy Buxton, Jess Haw and Hazel Knights who continued to create chances but unfortunately without success. City confirmed the 3 points with their best goal of the game with a clean strike on goal from an attack down their left side with ten minutes of the game remaining. 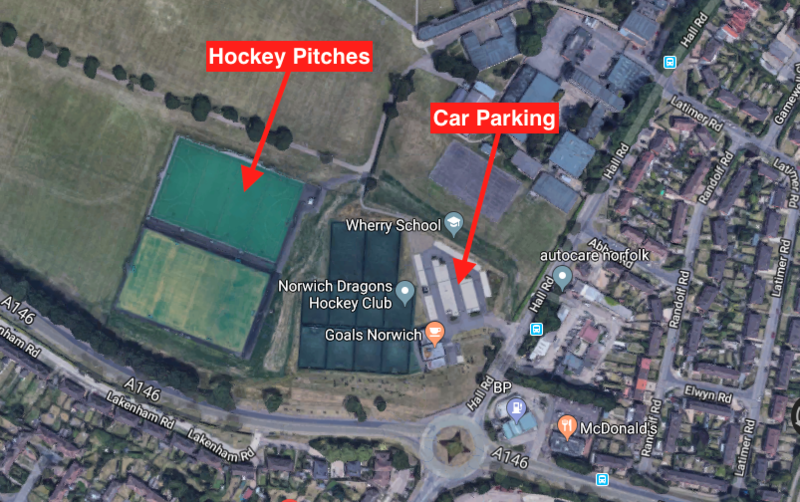 Dragons continued to put pressure on the City defence up to the final whistle, but the 14 strong squad of Norwich City 3’s proved too strong this week for Norwich Dragons 3’s leading to their first defeat of the season. Player of the match was awarded to Lucy Buxton. After having a game iced off the previous week the 4s were in need of a run out and Lou Davis gave us her left leg in left leg out warm up. Last game against the 5s, the 4s couldn’t seem to get the ball in the goal. But we had been putting into action tips from training getting the ball out wide and pressing the ball. The 5s took first push back and the 4s set off for the chase. At bottom of the diamond speedy Vicki Earley was ready to halt any advancing movement, and linked the ball up with Lynne Price who threaded the ball up the pitch. Trish Hagan and Aditi Naik were on the wings looking for free play and the opportunity to pass the ball into the D. The 4s were pressing the opposition D and forced a short corner, injected quickly by Fiona Fletcher into Caroline Wolfe who struck the ball, which rebounded off the keepers pads into the path of Lisa Harwood who swept it into left corner. The 4s kept up this pressure for the next 20mins. The 5s began to read our game and were quick to intercept the ball and got the ball out to their forwards. With Sarah Wagstaff controlling the centre of defence, she linked up well with Jemima Williams and Lou, to clear the ball and protect newly kitted out Kat Speirs. The second goal was from Gina Hunt lurking in the D, picked up a ball in from Caroline and popped into right post. At half time and with Rob Wagstaff’s words of wisdom in our ears, the 4s needed to regain the pace they had the start of the game and increase the pressure. The 4s play linked up well in the second half through the pitch and they continued to press the D. The third goal came from a scrabble in the D with Trish finally slotting the ball in. There was a wide range of votes for POM and winner was Aditi for her continued effort throughout the game. Ladies 5’s were all ready to reignite their battle with the 4’s for the second time this season. Unfortunately the 4’s were much quicker out of the blocks and put 2 goals in, in the space of the first 4 minutes. At this point the 5’s stood firm and regrouped keeping the 4’s out for the rest of the half despite lots of pressure and a number of short corners. Hannah Edwards ran out strongly on each occasion forcing the 4’s to change their plans. With increased pressure in the closing 10 minutes the 5’s gained a short corner at the end of the first half but unfortunately could not convert and the half finished 2-0. Ladies 6s made the short trip to their City counterparts. After a useful training session, the focus of the game was communication and off the ball awareness. Dragons started strong with some great midfield work from Gill Walker, Clara Dorman-Carrott, Jade Blanchflower and Emma Gillard. We created lots of chances down both flanks with some beautiful crosses going in. As ever, our rotating forward line of Mia McGhee, Gemma Ballard, Jemima Dorman-Carrott and Harriet Rant were goal hungry, chasing down passes and looking for crosses. They didn’t have much luck with several saves made by the city keeper. Their breakthrough came 20 minutes in when a scrambled D saw Mia McGhee take the final touch. Dragons knew city would come back at them so they had to start strong. The defensive line of Hannah Woods, Kate Atkins and joint players of the match Jen Buskell and Stella Windsor-Waite worked tirelessly to support Keeper Emily Roper. Jen making some crucial cover tackles and Stella really growing into the bottom of the diamond role – prowling the 23 making it difficult for city to get through. Dragons upped the pressure and with short corner after short corner their breakthrough came again. Anita Mancini receiving the ball from Jemima Dorman-Carrott and catching the defence off guard she dribbled the ball past 2 defenders to slot the ball Home through the keepers feet. A promising display after 6 weeks without a game. The cobwebs have been dusted off their sticks and the 6s are marching on with promotion in their sights! The Super 7s despatched the Awesome 8s quite comfortably, with both teams pleased to get into a match after the long Christmas break. Unfortunately, the trickle-down impact of availability throughout Dragons’ Ladies meant that the 8s lost three players, but they can be very pleased with the way they organised their defence to keep the score down and proud of Lois Metcalfe’s brave effort in goal with no recent practice. She saved loads of shots. For the 7s, the high points were the increasingly positive play from Stevie Spencer, who scored two goals – one a very nicely-placed conversion of a penalty corner. She carefully lifted the ball past the keeper and into the corner. Stevie shared the player of the match vote with debut player Sophie James, who grew in confidence during the game and distributed the ball well in midfield. Claire Stuart also hit a double, typically working persistently at close range to force the ball home. Perhaps the most valuable goal was the first one, scored by Claire Fairhurst from that classic poacher’s position just off the near post. It was valuable because it came after three consecutive passes pushed with good ball speed, and its effect was to settle the whole team who then had some very good passages of play. Adelice Kraemar completed the scoring and was notable in the later stages of the game for some very neat bunts across the circle, which were not picked up today but will be in the future. The 7s were pleased that they were able to put some of their training into practice. They mostly kept the width and took every opportunity to win penalty corners. The mids, who included Louise Brooks, Lily Crew and Becky Gallagher as well as Stevie and Sophie, were full of running and bold tackles and dominated the opposing attack. In defence, goalkeeper Emma North was very pleased to have kept a clean sheet, even though she was not actually required to touch the ball during the match. The defenders were Louise, Hattie Gale, Emma Dyer and Bridget Le Good (with Lily also taking a turn on rotation) and they did what was required of them. They also did a few cheeky high presses in the opposing half, reminding themselves they won’t necessarily have the same luxury next week. An enjoyable game for both teams, very sporting and with plenty of encouraging aspects of play to take forward to next week. The score line really does not reflect the play of this game. The 8’s played their absolute hearts out and proved that they CAN play the top of the league team well, suffer a loss against them and still maintain a positive attitude. Having lost 2 of their key players AND their normal goal keeper to their opposition, they were keen to give the 7’s a run for their money and to improve on their last game with them, despite the odds being stacked against them. Lois Metcalfe as Goal Keeper – what a performance! A well-earned Player of the Match winner, she proved that as well as being a feisty forward, she can also defend excellently. Not having donned the kit for over three years, she made some cracking saves and managed to stop numerous goals from going in with her determination and grit. Once she ditched the stick in the second half, and made the most of her kicks, she really came in to her own, her confidence grew and the 8’s only conceded 2 goals. Jo Baker had another fabulous performance as centre back with some excellent and accurate hit outs, lovely core defensive leadership and pivotal see-saw movement. Johanne Steward as right back, continues to grow in confidence, had some head-strong tackles and made some lovely passes along the wing and up to the mid fielders. Emma “no fear” Fielding as left back. Despite still being very new to the game, Emma used her great speed to push up the pitch and ‘attack’ the forwards and drop back when required. She was a real asset during the many short corners awarded against them as she went straight out to the opposition without hesitation. Louise ‘Bondy’ Bond played right bottom of the diamond, (also covered left BOD and TOD.) A formidable force, back from several weeks of not playing but you couldn’t tell from her performance. Bondy got stuck in, she clearly loves playing, tackled frequently, managed some great hits down the middle as wells out to the wing. Bondy worked very well with Tracy Stuart-Sheppard, a winning combo! A similar player to Bondy, Tracy worked really hard to stop the 7’s entering the danger zone, got to the ball quickly, marked players well and was an excellent communicator under pressure. Shanice Claxton stepped up and played a different position during this match as a right midfielder. She grew in confidence throughout the match, got into some good spaces and tackled well. Nic Harrison – possibly the most enthusiastic player in the club! She played right and left mid and a short spot covering BOD. Tackled with confidence, had endless energy, made some lovely passes to players in appropriate spaces and took some great free hits. Kim Brenchley as left and right mid field. Kim has had quite a long break from hockey but this did not affect her enthusiasm and desire to win. Kim was quick to the ball, tackled well and worked hard to pass the ball to her fellow 8’s. Katy Cole – top of the diamond. Got stuck in and tackled, marked a few of the most dangerous players on the pitch with the help of the other core midfielders. Katy got very excited when she had to do an old fashioned bully-off against Claire Stuart to win possession, which disappointingly resulted in a draw, immediately after, it was all systems go again! Sadie Jacobs worked as hard as she could as right forward but the game was very defensive and both her and fellow forward Emma Young did not get as much a chance to shine in this game. Sadie made some accurate, strong push back passes, and worked really well with newbie Emma, communicating with each other well and sticking together as there were only two of them in this game. Emma showed great promise in the 8’s as a wiling and dedicated team member and pounced on the ball when given the opportunity. Moving forward, the 8’s will maintain their love of the game and dedication to playing, and always remember to incorporate their learning from training including getting low to the ground and keeping their sticks down so the opposition do not win possession. Their marking has improved but they must not get complacent with this and continue to stick to the more dangerous players. To refine the basics such as getting into a space, pre-scanning before passing and communicating better. They are always improving and this game demonstrated that they were able to prove to the 7’s they would not go down without a fight! Onwards and upwards for the awesome 8’s. Dragons started the first half brightly dominating with possession and creating several chances. Unfortunately, conversion of these chances was proving difficult with the Sudbury keeper making some good saves. The game then settled down, with an evenly fought mid pitch battle. It seemed like Sudbury were happy to park the bus and go away with the single point. After a motivational speech at half time from skipper and vice, it managed to focus the team into creating more chances in the 2nd half. The breakthrough came with a deflected shot into the roof of the net from Johnny Taylor in his debut game. This settled the team and were soon on the attack again and two converted short corners from Alex Browne and Ed Gould made the 3 points certain. Norwich Dragons men’s 3’s travelled to Ipswich to take on Ipswich men’s 2’s. Ipswich looked particularly strong from the start and capitalised early with a goal. They then added to this with a fairly unstoppable reverse strike. Dragons worked hard and creating a break, Jono Chaney Baxter drove into the d and then slipped it left to Andy Saunders to pull a goal back although by half time the score was 3-1 in Ipswich favour. Positive half time chat resulted in better passing and more chances were created in the 2nd half, everyone worked hard but unfortunately it was not to be and dragons lost 4-1 to what on the day was one of the strongest opposition they have faced all season. Dragons 5’s played probably their most organised and disciplined game of the season. Knowing that we were giving away 20-30 years to the opposition in some positions, players realised they needed to stay in place & not make extra runs forward. With Ali Smyth keeping the left sown up & James Cross & Lloyd Wade patrolling the middle UEA were restricted to very few clear cut chances & I don’t recall any short corners being conceded. Dragons game was based on soaking up the UEA pressure and trying to catch them on the break. Through Owain Hall down the right & Rob Chaney Baxter & Connor Adams up front we managed to create a number of chances. Short corners looked dangerous through a James flick or an Ali strike – sadly UEA defence held firm. Overall a draw was probably about the right result. In a week where several players could not be offered a game, and the captain was detained at work, M6 have a perfect mix of youth & experience but more importantly a squad of mid-field players who worked for each other & passed their way around the field. M6 were unlucky on the first City goal from an intercepted clearance & have only themselves to blame for not reforming their defensive marking duties after a temporary suspension. The early first half was a period of pressure & the M6 defence were indebted to Peter Dickerson doubling up in goal. Still towards the end of that half with MOM Isaac Diver-Hall making penetrating runs on the right & Tommy Chapman running everywhere, that a slick move down the right saw Rob lee pull a goal back before HT. Second half reorganisation of the middle was rewarded when M6 recovered a short corner clearance & worked the ball to Dan Orsborne to equalise. Toby Drake at right midfield made some excellent incursions while in defence Harry Brown found time from making the only City youngster to add weight to the left. Chances were there to beat the 2nd team in the league but the post kept Josh Bingham out. This is the team that will if selected for next few weeks get M6 their first win of the season in a competitive league where most games like today were a joy to play. Everyone is up to travel to Cromer next week so bring it on. Dragons started the first half strongly passing the ball well and applying pressure in the D earning an early short corner, Ed Cross shooting just wide. Dereham were set up and trained to hit long to their fast forwards but their first attempt to counter-attack was blocked by Tom Jackson in defence and the attacking continued. Again Dragons broke into the D, and with a sensible pass across the goal, Casper Lind tapped in at the far post for the opening goal. Very soon after the Dereham pushback, Dragons found themselves back in the D and with another short corner. This time Ed Cross’s shot was on target but saved. Pressure continued, and with another clean pass in the D across the goal, Casper Lind scored a second. Dereham then came back into the game but the Dragon’s defence refused to let the ball past with Tom Jackson, Will Mares, Ben Panter and Alex Marjoram blocking, passing wide and clearing to ease the pressure. One of the last attacks saw the opportunity to pressure the Dereham goal and when Kit Scott’s shot was saved, Tommy Gale quickly picked up the loose ball to score. End of first Half, 3-0 to Dragons. The second half saw Dereham start quickly out of the blocks, and with the Dragons back pedalling, Dereham slotted home their first goal. Dragons then reacted and started some relentless pressure on the Dereham goal, with 3 hard shots saved by the goalie (our very own Alex Wolfe), one short corner saved, one shot over the bar and another saved by the goalies helmet. Finally a reverse stick shot from Kit took the Dragon’s tally to 4. There followed a period of end to end hockey with chances for both sides but shots and passes missing their targets. Finally the Dragon’s passing game returned and in the last 15 minutes sustained pressure saw Tommy Gale score two goals, a screamer of a short corner from Ed Cross, a tap-in from Kit and the last goal from Freddie Royall. Final score 9-1 to Dragons. This entry was posted in Latest News on January 14, 2018 by Comms Manager.